The first annual Challenger Jamboree hosted by the Tri Cities Little League was held Friday, September 7, 2012 at Randall Oaks Park in West Dundee. Friday's events featured skills practices, a hayride, and a bonfire with organized games and other activities set for Saturday. Mike Greene - mgreene@shawmedia.com Joey Picardi, 11 of Bartlett, follows through while practicing pitching during the first annual Challenger Jamboree hosted by the Tri Cities Little League Friday, September 7, 2012 at Randall Oaks Park in West Dundee. 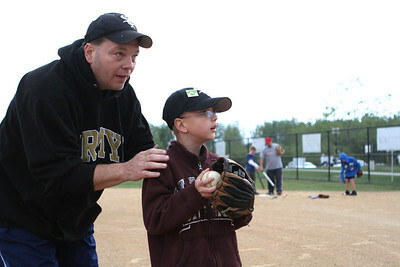 Challenger is a division of Little League for mentally and physically challenged children, allowing them to play organized baseball. 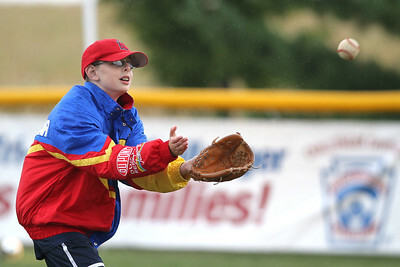 Mike Greene - mgreene@shawmedia.com Matthew Williams, 11 of Schaumburg, winds to throw while playing catch as rain falls during the first annual Challenger Jamboree hosted by the Tri Cities Little League Friday, September 7, 2012 at Randall Oaks Park in West Dundee. Friday's events featured skills practices, a hayride, and a bonfire with organized games and other activities set for Saturday. 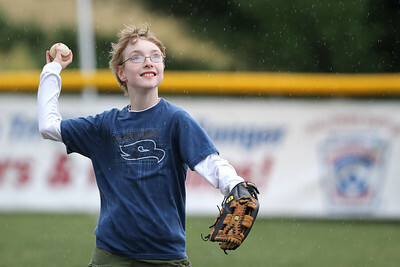 Mike Greene - mgreene@shawmedia.com Geoffrey Boston, 12 of South Elgin, watches a ball into his glove as rain falls during the first annual Challenger Jamboree hosted by the Tri Cities Little League Friday, September 7, 2012 at Randall Oaks Park in West Dundee. Friday's events featured skills practices, a hayride, and a bonfire with organized games and other activities set for Saturday. Mike Greene - mgreene@shawmedia.com Bob Kennedy, of Bartlett, helps his son Matthew, 8, practice pitching during the first annual Challenger Jamboree hosted by the Tri Cities Little League Friday, September 7, 2012 at Randall Oaks Park in West Dundee. 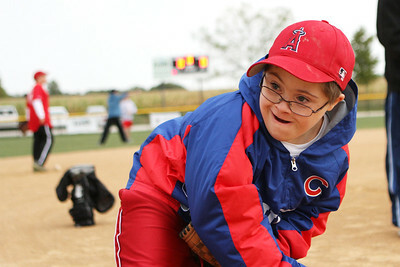 100 challenger individuals from 10 teams will participate in the two-day event with games and other events on Saturday. Geoffrey Boston, 12 of South Elgin, watches a ball into his glove as rain falls during the first annual Challenger Jamboree hosted by the Tri Cities Little League Friday, September 7, 2012 at Randall Oaks Park in West Dundee. Friday's events featured skills practices, a hayride, and a bonfire with organized games and other activities set for Saturday.